With established channels in web and mobile e-commerce, and a growing reputation as a learning company, the asset Barnes & Noble College still most embraces is its nationwide campus physical locations. 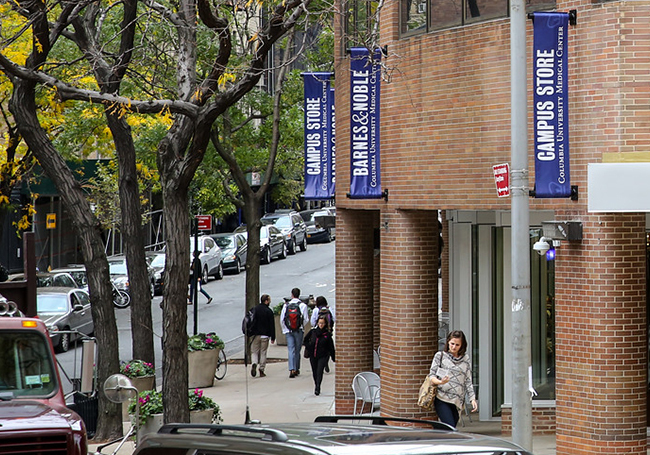 As a central hub for both the academic and the social fabric of the campuses they serve, the value of these brick-and-mortar locations is not something the company underestimates. “They’ve become complete support systems for our students, faculty and campus partners — and for the higher education community,” is how President Patrick Maloney recently described them. The importance Barnes & Noble College places on its stores, and the role they play in the success of their schools, was brought sharply into focus this month by a new initiative, which not only leverages the bookstore’s retail value, but is also designed to help develop even deeper ties with their college campus communities. Project 770 is Barnes & Noble College’s most ambitious research project yet. The expansive program records students’ impressions of their local campus stores, gleaning valuable information on how well that store is serving its campus constituencies, together with important pointers on how it can become an even more useful resource. Rather than take a sample survey across a broad spectrum of its stores, Project 770 was conducted on a campus-by-campus individual basis in a massive collection enterprise. “We’re so much more than just 770 retail locations,” explains Marie Policastro, Director of Partnership Marketing for Barnes & Noble College, “We’re 770 very unique campus support systems, and by asking actionable questions of our customers, specific to their individual store experiences, we can really put the power of our deep customer insights platform into the hands of those who can benefit from it the most — our store managers and their teams,” she adds. Since establishing the Barnes & Noble College Insightssm research platform, the Company has been acting on its ‘Listen, Learn, Act’ mantra, using research to develop its responsiveness to the changes in higher education, the way students learn, along with what they want from their college experience. With the new 770 initiative in particular, information from the survey can be evaluated by both the store managers and their college administration contacts to help build a more effective resource in the campus bookstore. With questions covering as far-ranging topics as the retail experience and how students use their bookstore and shop for textbooks to college apparel and food items, to academic empowerment and measuring awareness of affordability options, to courseware preparedness, the 770 survey provides a blueprint for supporting its schools’ key strategic objectives — enhancing recruitment, retention and academic success. “It’s a way of empowering our store managers and really giving them the tools to open new discussions with their campus partners — and discover new areas of support with their customers and university clients.” says Policastro. Through its College Insights research platform, Barnes & Noble College is regularly engaging its network of more than seven million students, parents, faculty and alumni to better understand the thinking, behaviors and expectations of these stakeholders. “These insights are the foundation of our strategic partnerships and ensure that whatever challenge lies ahead, we’re positioned to be able to listen and respond,” says Policastro. Through the Project 770 initiative, Barnes & Noble College wants to ensure the integrity of the experience stores deliver to students, and to be a more effective resource for supplying textbooks and merchandise as a revenue generator for the school. “Revenue growth doesn’t happen by selling products alone,” points out Policastro. “It comes from engaging students and the entire campus community — by building relationships and earning their loyalty and trust.” The revenue generated from supporting the campus bookstore also helps to directly fund scholarships and academic programs. “Ultimately, it’s about ensuring that we’re driving student success in and out of the classroom,” she adds.